The National Association of Women in Construction (NAWIC) originally began as Women in Construction of Fort Worth, Texas. Sixteen women working in the construction industry founded it in 1953. Knowing that women represented only a small fraction of the construction industry, the founders organized NAWIC to create a support network. Women in Construction of Fort Worth was so successful that it gained its national charter in 1955 and became the National Association of Women in Construction. Today, NAWIC provides its members with opportunities for professional development, education, networking, leadership training, public service and more. We are proud to say that NAWIC is celebrating 60 years in 2015!! NAWIC Northeast Region 14 is made up of several New England chapters - ME, MA, NH, CT, NY and RI. Region 14 holds a Spring Forum meeting and Annual Planning Conference (APC) in the fall. Other special events within the region are often open to all chapters and will be posted under Meetings and Events. Meeting and Below are all the chapters within Region 14. Please click on any chapter to go to their website. The Granite State Chapter #218 was chartered in August 1975 in Concord, NH. 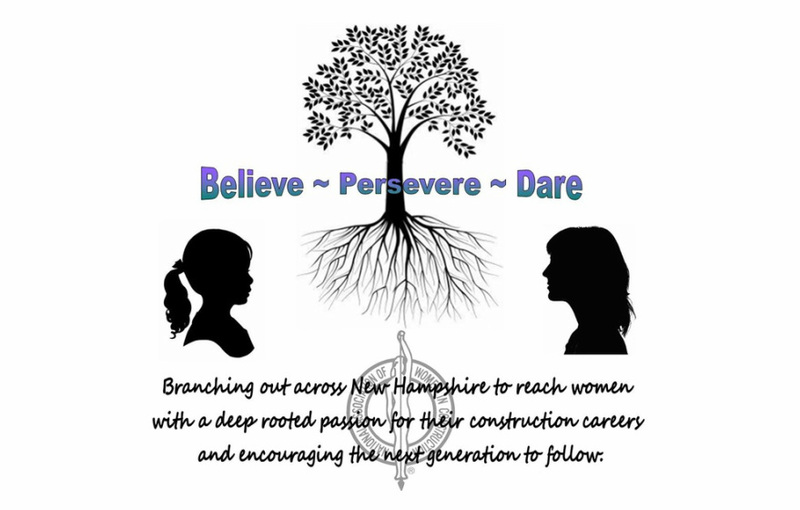 We are a small group of women from varying fields of construction who get together on a monthly basis to support each other by providing opportunities for expanding our knowledge, networking, volunteering in the community, mentoring New Hampshire's Youth and by attending local seminars. We are a very active group who also have a lot of fun together. Please see "Our NH Members" section to learn more about us! Our CORE VALUES are to Believe in ourselves as women; Persevere with the strength of our convictions; and Dare to move into new horizons.